Cartoon fanart. . HD Wallpaper and background images in the Fanart club tagged: fanart cartoons teen titans winx club. This Fanart fan art might contain boeket, corsage, ruikertje, bouquet, posy, roos, rosiness, roos, rozenstruik, and rosebush. 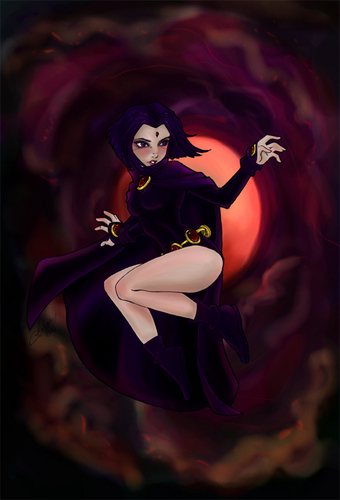 this is Raven from teen Titans, right?